Bill Belichick on Brad Stevens: "a phenomenal person, leader, teacher, and strategist"
Though their run may have come to an end over the weekend, the Celtics had a very successful season by any measure--after losing their two biggest stars (Gordon Hayward and Kyrie Irving) to injury, the team persevered to take LeBron James to seven games in the Eastern Conference Finals. With young stars like Jayson Tatum and Jaylen Brown in the fold, the future is undoubtedly bright. 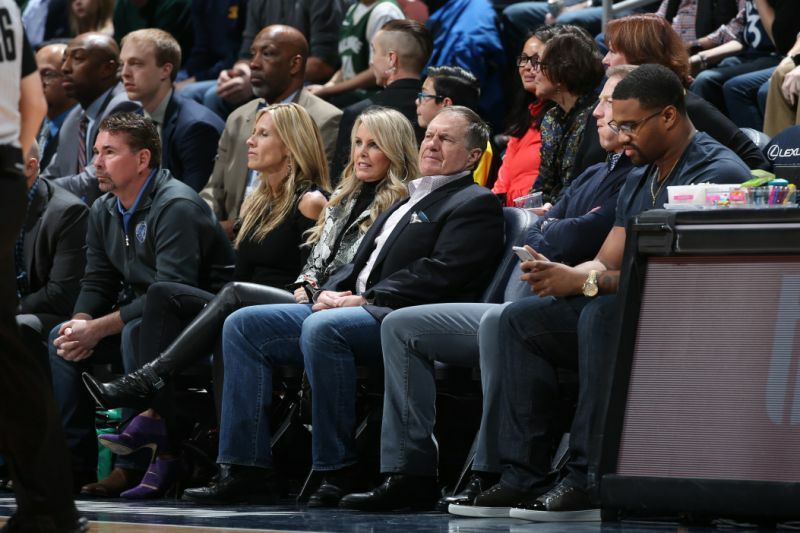 But Patriots coach Bill Belichick sat down with the Boston Sports Journal's Greg Bedardto point out another critical figure in the Celtics' success: head coach Brad Stevens. As Belichick mentioned, Stevens' mindset and leadership have led the Celtics to previously unreachable heights and have garnered him recognition from around the NBA. In fact, the job Stevens did leading this injury-hobbled Celtics squad through the playoffs drew some comparisons to Belichick himself. In any case, there was certainly a sort of "do your job" atmosphere surrounding the team as fringe players and previously untested newbies stepped up to fill massive holes and the team didn't miss a beat. It will certainly be interesting to see how Stevens works with his returning stars next year--expectations will be high, but the talent and work ethic for a championship run are definitely there. If Stevens does bring another Larry O'Brien Trophy back to Titletown, you can be sure Belichick will be first in line to congratulate him.